The kids and I have been gearing up for the holiday by decorating our home and creating some very special gifts for the loved ones in our lives! I’ve done my best to link to the exact products I used 🙂 If there’s something you can’t find, please feel free to email me at prayspecies@gmail.com and I’ll do my best to find you an answer! Special thanks to Oriental Trading Company for supplying several of these supplies! 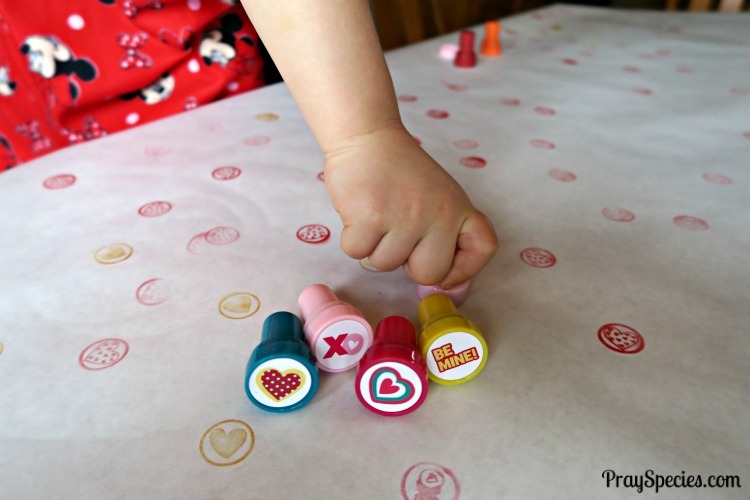 First, we made our very own Valentine’s Day tablecloth using these Fun Valentine Heart Stampers. 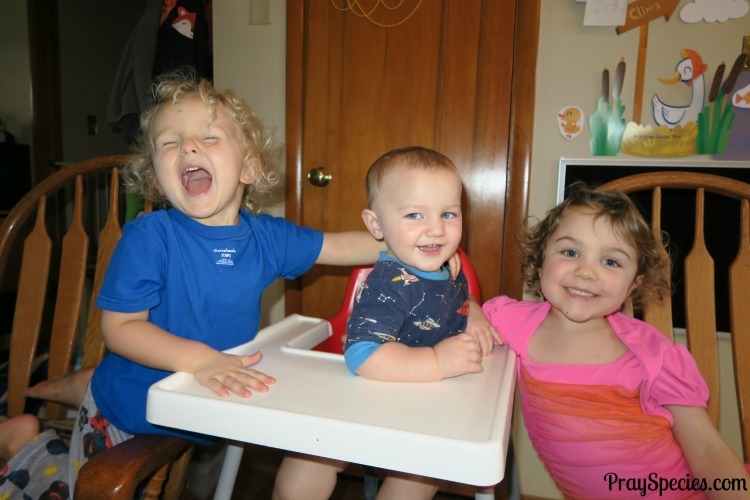 All three of my kids were able to get in on the action for this activity and have enjoyed sharing their designs at mealtimes. We unrolled butcher paper across the table and taped it with packing tape on the underside of the seam. Then I used some masking tape to tape it to the underside of the table over top of a normal washable tablecloth. Hint: You can find butcher paper at several grocery stores, craft supply stores, and department stores like Target, but I’ve found this higher quality white butcher paper to hold up a little better than most. 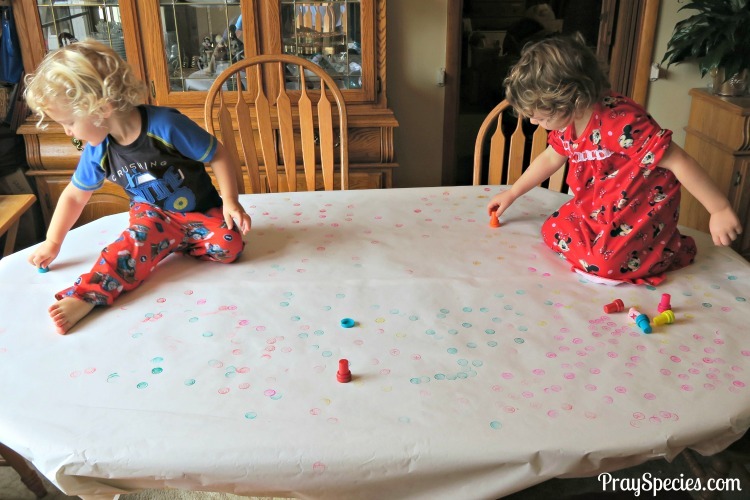 This activity was incredibly easy and the kids loved it. 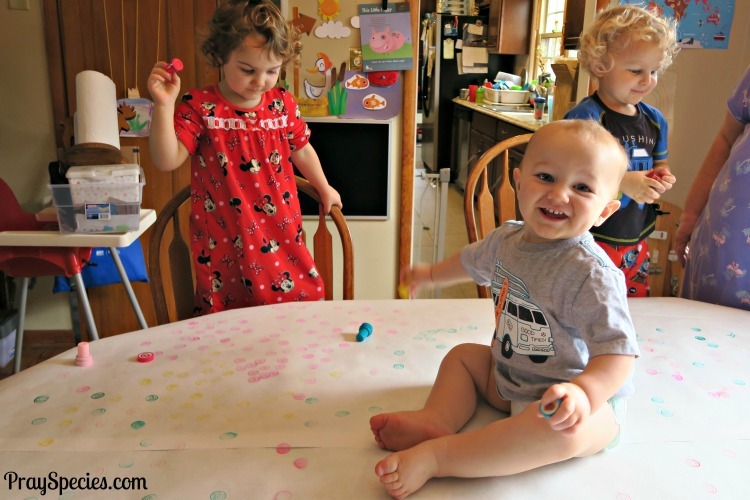 The stampers were easy to use and don’t require a separate ink pad. On a few occasions the stampers were pushed on skin (hearts on hands and a little blue on an eyebrow), the residue came right off with a little warm water. My four year old has given up naps and she and I are often looking for quiet activities to do together in the afternoon while the boys sleep. 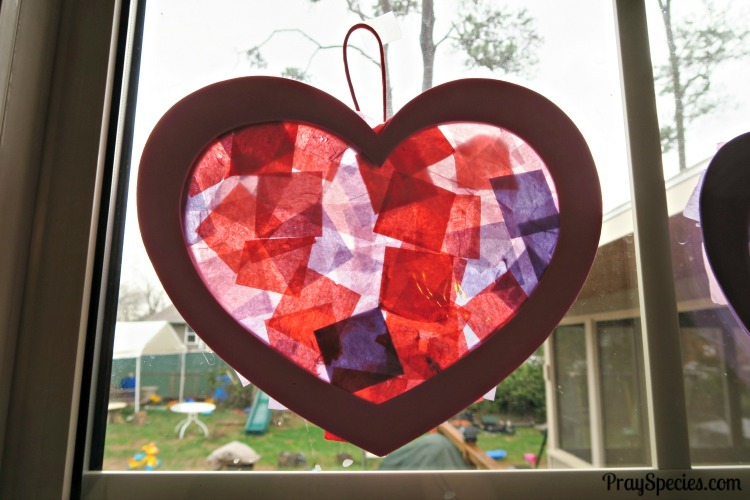 These adorable Tissue Paper Heart Craft Kits were perfect. You take a clear plastic heart shape provided in the kit and smear it with glaze (made from school glue and water mixed together). Ladybug enjoyed completing this step with a paintbrush. 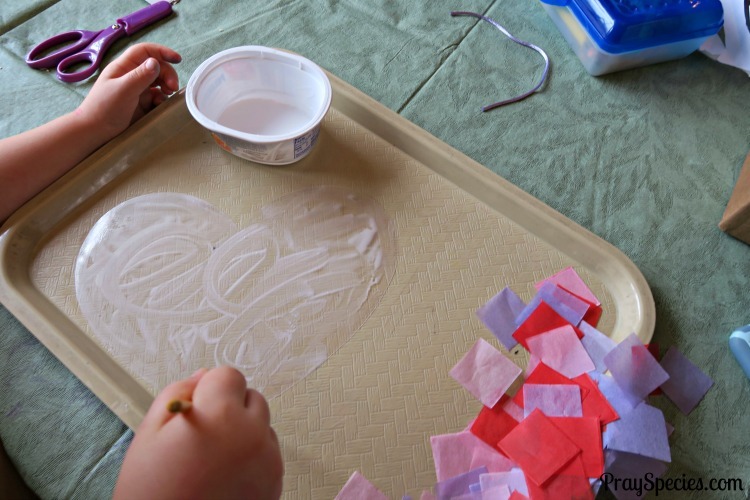 She also loved getting to choose where on the glazed heart to attach the tissue paper squares. Hint: The tissue squares are a little hard to separate for little hands, so I was in charge of separating tissue squares and she was in charge of placing them on the heart. Another layer of glaze goes over top all the squares and then you let the glaze dry. Hint: You do have to be careful to make sure you don’t use too much glaze or rub too hard with the paintbrush, because the tissue squares will tear. Fortunately, there are enough extra tissue squares included in the kit that any mishaps can easily be corrected. On our first heart Ladybug and I worked together to put the foam heart outlines on either side of our tissue paper heart. The glue took a while to dry though and for the next few creations we opted for the hot glue gun. Hint: Once dry, the hearts curled a little, so we placed them under a heavy book for an hour or so before hanging. The kit contains a small piece of matching twine to be used to hang each heart. 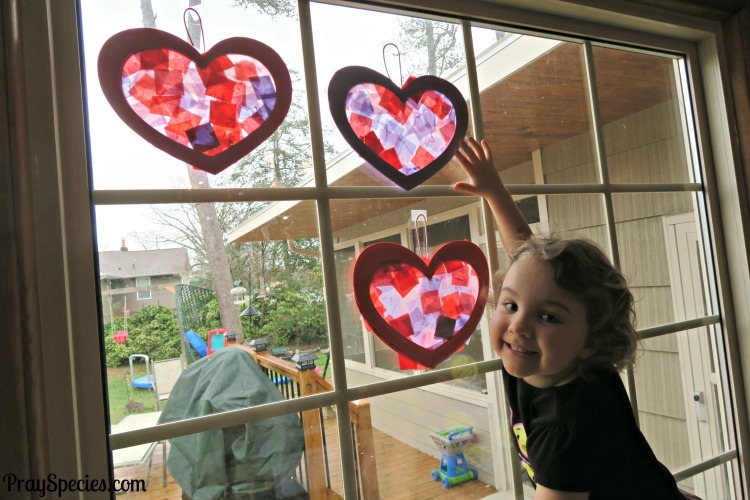 We opted to hot glue those on as well and hung them in the window. Ladybug is so proud of these hearts and shows them to everyone that visits. 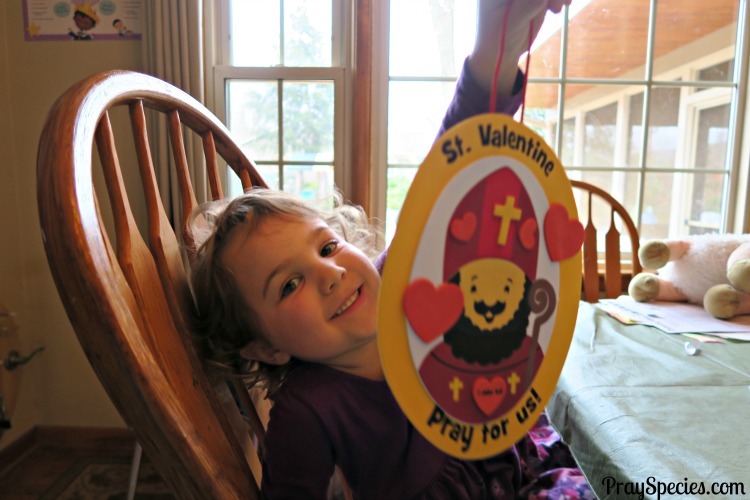 The Saint Valentine Sign Craft Kit was the easiest, least messy craft we completed. I had envisioned making these little saint ornaments to place on gift bags or gift boxes we intended to give to friends, but the craft is too large for that; it is a sign, not an ornament. Truth is that the larger size of the sign made is more doable for little hands and the kids had a ton of fun completing this kit. Both my four year old and my three year old were able to complete the sign with very little assistance. 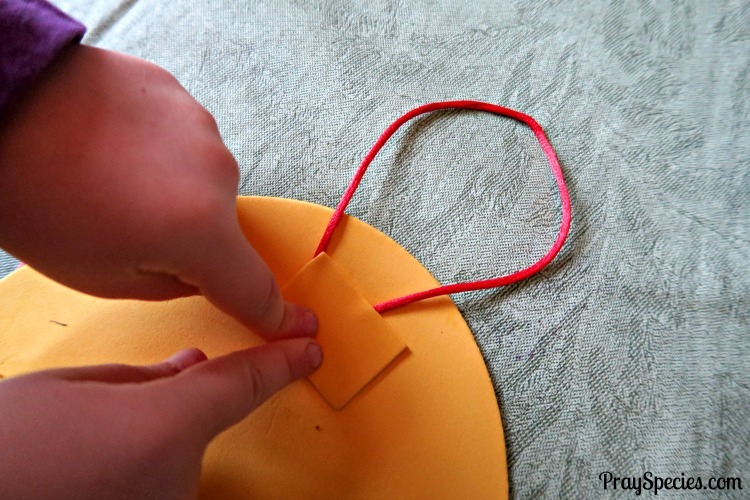 A piece of adhesive foam is included for attaching the hanger to the back of the sign, so the kids were truly able to complete the entire craft themselves. With no glue and no extra loose parts, this was a cinch to prepare and clean up! We now have them hanging on several doors in our home and we plan to take them to church to give to some of our pew mates. My kids love baking in the kitchen and were incredibly excited to help make some cookie bars and brownies to give away to some of our favorite local friends and family. 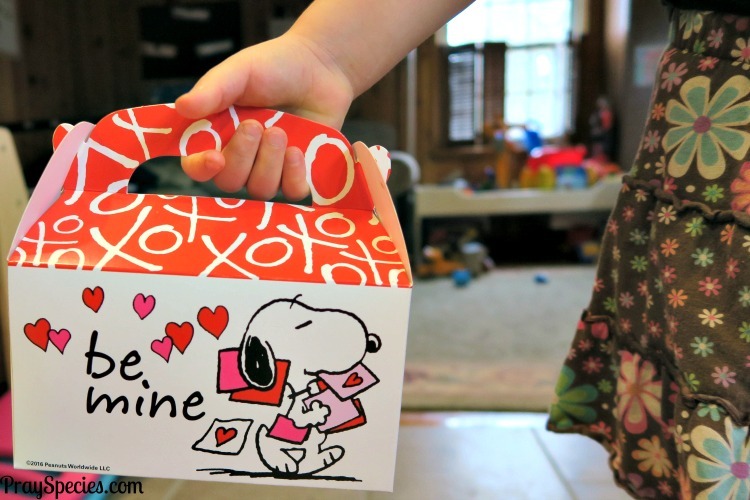 We found these adorable Peanuts Valentine Treat Boxes, which were super easy to assemble. Ladybug and Owl were happy to fill these boxes with special handmade treats. 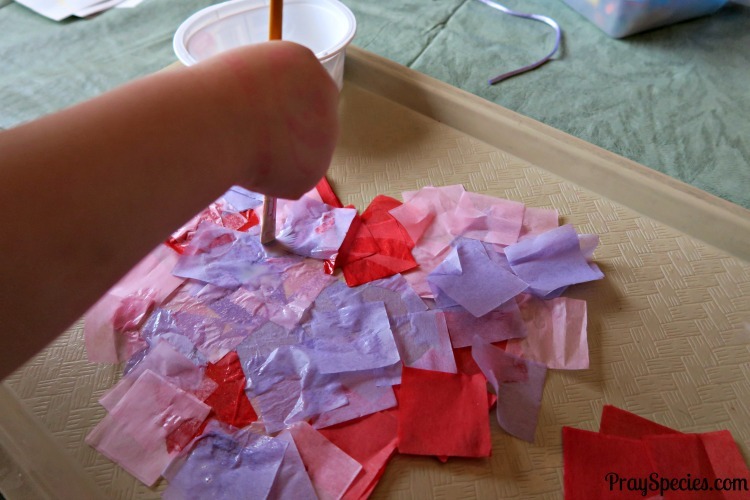 The kids also made their very own handmade Valentine cards to go into the gift boxes. 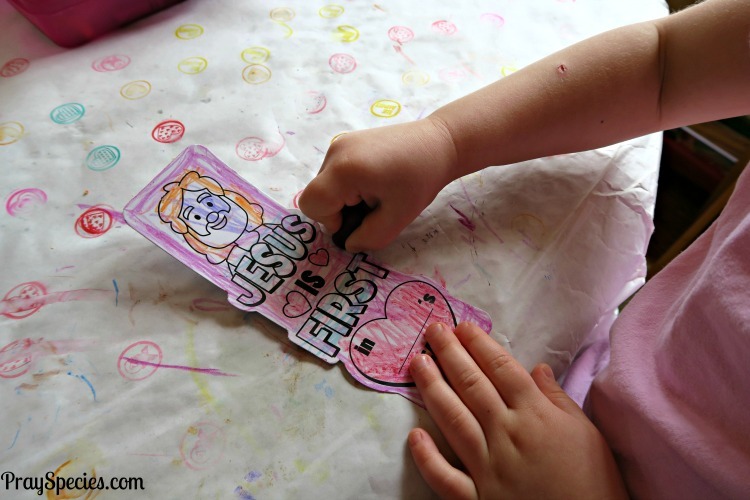 They colored some very special bookmarks; Color Your Own Christ Lives Here Bookmarks. Since we are huge readers in our house, we also kept a couple to use in our family read alouds. 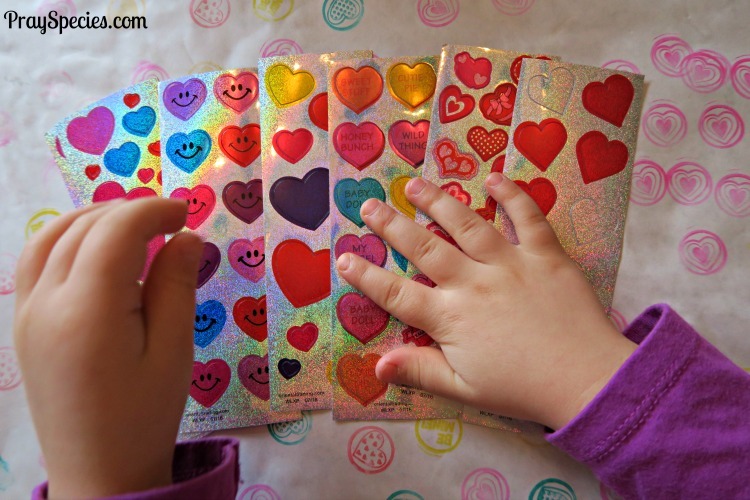 They also decorated personal Valentine’s using this fabulous Valentine Sticker Sheet Assortment. My kids go through stickers faster than any other crafting supply. It was getting expensive to keep buying sticker sheets at the grocery store or the pharmacy. Hint: When you buy stickers in bulk, they often come in a roll, but for a little higher cost you can get them on individual sheets, which makes managing how many are loose in the house at one time way more manageable! 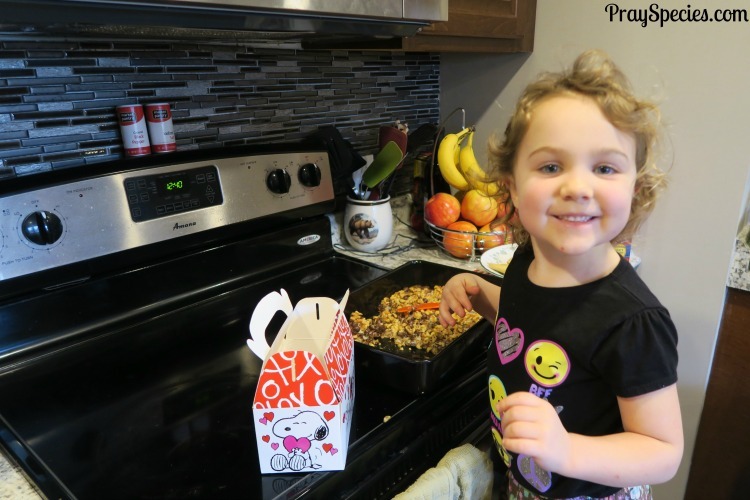 The Peanuts Valentine Treat Boxes have an easy to grip handle, so the kids are able to deliver their handmade goodies themselves, which is exciting for both the giver and the receiver! This is my favorite craft this year. The kids enjoyed doing it and I love the final product! Most of our family and close friends are dispersed across the United States with a few special someones overseas. 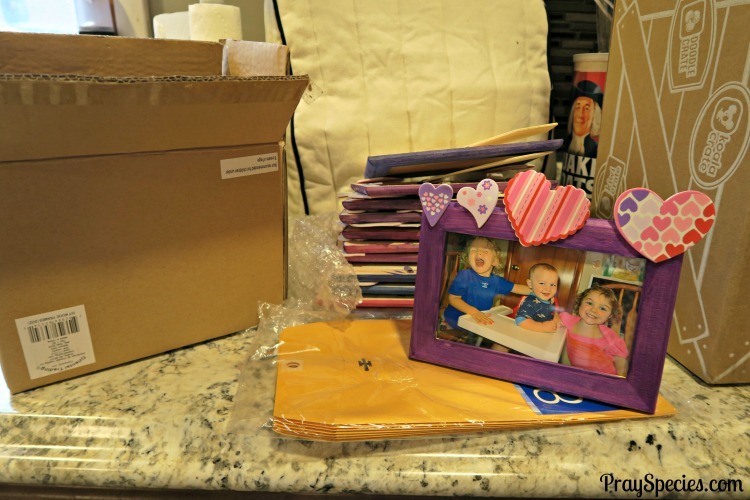 We were looking for an inexpensive gift that we could send to them that the kids could help make. 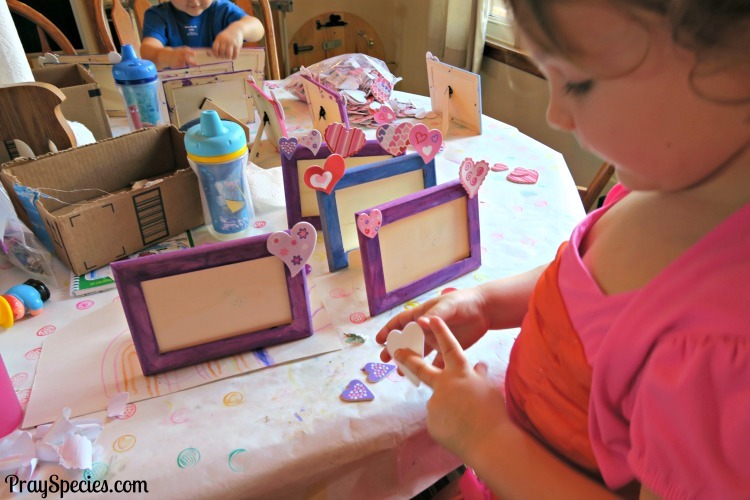 These DIY Unfinished Wood Picture Frames were perfect! The kids painted them using Biocolor paint. Some frames were blue (Owl’s favorite color), some were purple (Ladybug’s favorite color), and others were a combination of colors including one that turned a beautiful shade of magenta. Hint: Give the kids just the top of the frame to paint. 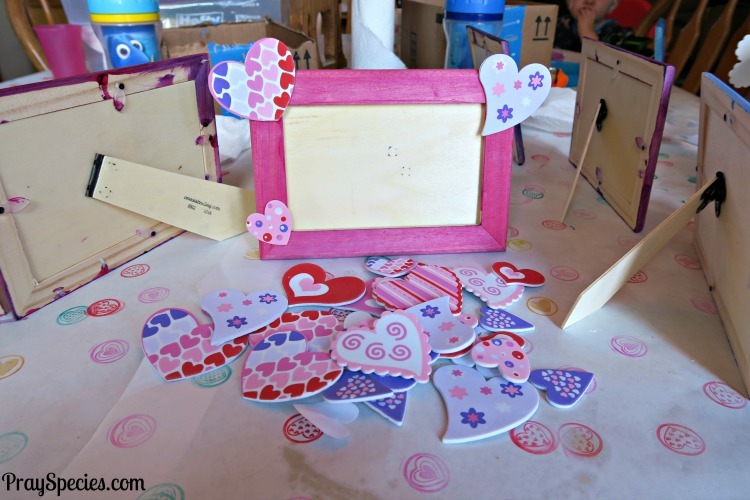 After the frames dried, we used these Fabulous Foam Self-Adhesive Valentine Heart Shapes. The kids got such a bang out of being able to decorate their own frames with these stickers! Hint: Make sure to assemble the frame (minus glass) before they place the stickers, so they don’t put any too far down on the bottom, which would keep the frame from being able to sit right side up. Hint: These frames will not fit an exact normal picture size. We ordered 4X6 prints and trimmed two of the sides with a paper trimmer, although scissors would have worked too. Hint: I used clear nail polish on the back of the self adhesive foam stickers before I packed them to get rid of the stickiness and avoid having them stick to each other and the packaging. Worked like a charm! These frames turned out so well and the kids are incredibly proud of them. They are enjoying picking out which frame goes to which recipient and I can’t wait for everyone to see the adorable picture my kids AGREED to take to go inside the frame (sneak peak below ;))! 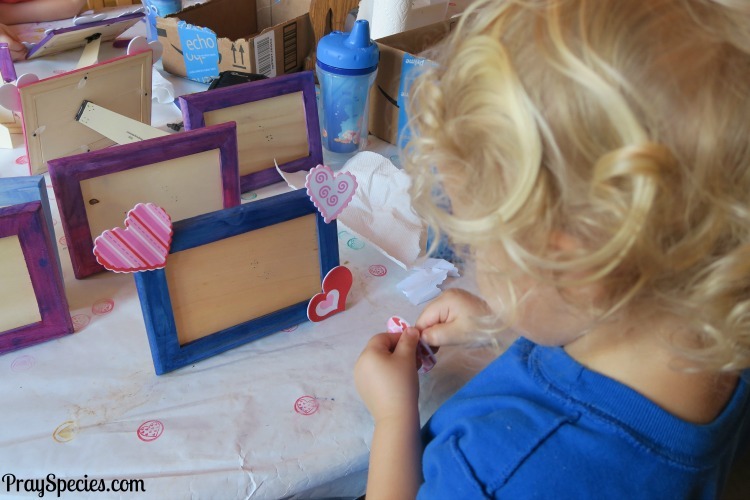 I’m always looking for new, fun and simple, inexpensive projects that I can enjoy doing with my young kids. Decorating our home and making gifts for those we love are two of my favorites. 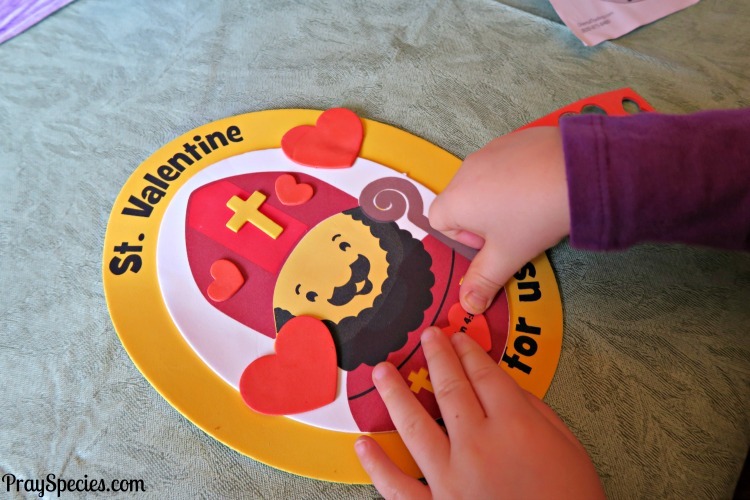 These activities we completed for Valentine’s Day are doable, enjoyable, and even resulted in some fun gifts for those we love. I hope one of these ideas will inspire you to have a little fun with your family this Valentine’s Day! Do you have some fabulous Valentine’s Day plans?